Spotted a rather nice place in this area some years back. 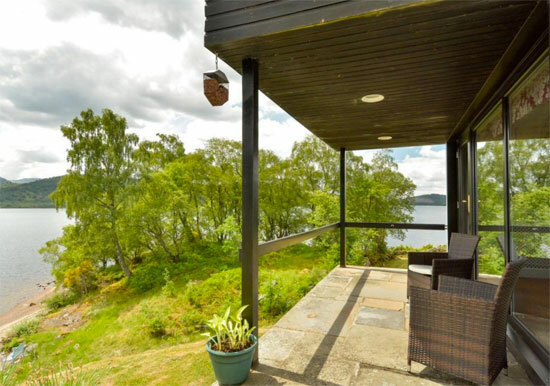 Now here is another, the Grianan 1960s modernist property in Kinloch Rannoch, near Pitlochry, Scotland. Let’s be honest, who wouldn’t want to wake up somewhere like this when the weather is hot and sunny? It really is a dream location. 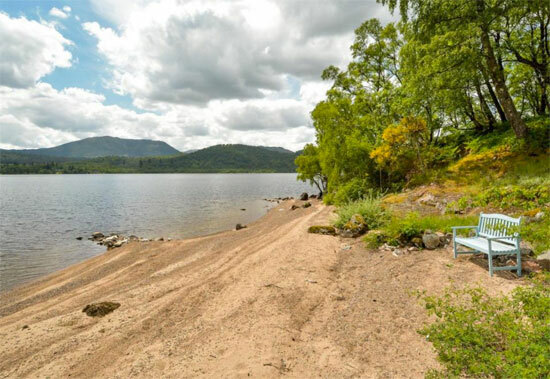 That location is on the north shore of Loch Rannoch, with the house offering dual aspect views of the loch and access to a stretch of beach just a short hop from the house. I can guess that you’ll have the comforting sound of the water lapping against the shore too. You definitely have the right to use a boat and fish here, if that’s your thing. 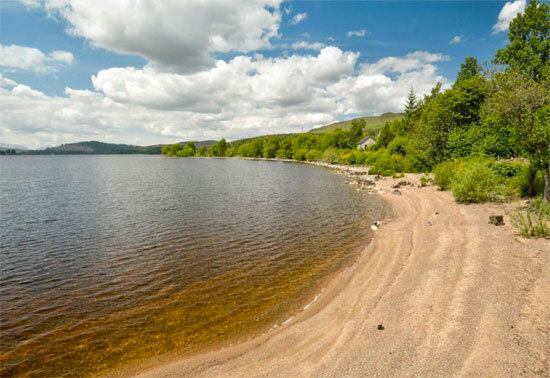 It sounds like the perfect getaway, although, according to the agent, you aren’t too far from Kinloch Rannoch, which is just seven mies away. 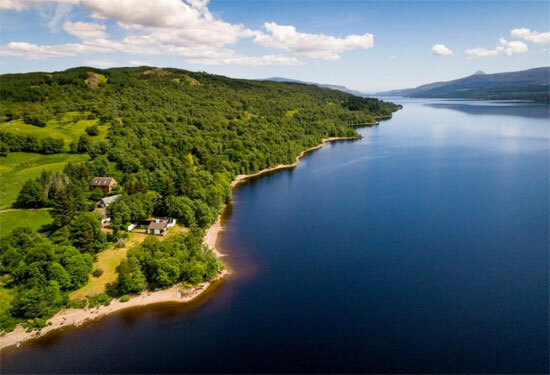 If you want something a little busier, Pitlochry and its train connectivity to Glasgow and London is around 28 miles away. Not exactly a short walk, but if you want something remote, nothing is around the corner. So location is obviously a selling point. Arguably the main one. But the architecture seals the deal. 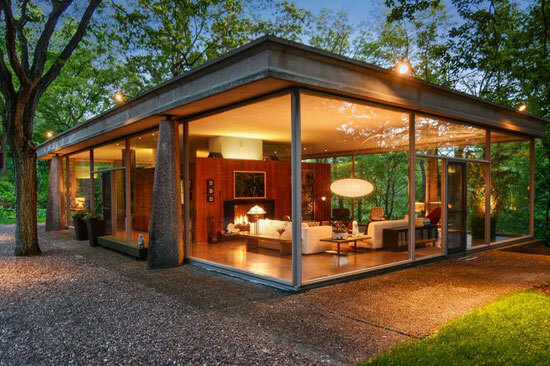 This one dates from the late 1960s and does have something of a Scandinavian influence about it. 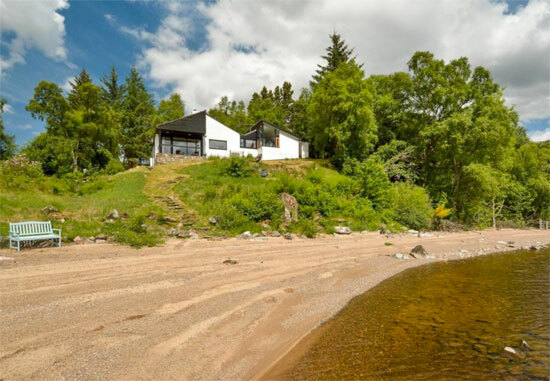 The angular design also takes full advantage of its surroundings, with plenty of wonderful views out over the water through the considerable glazing. Has it changed? 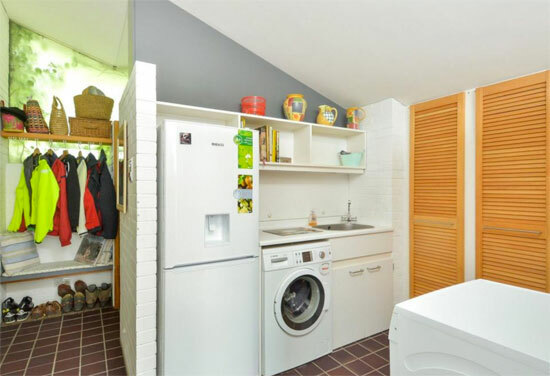 Well yes it obviously has, not least with a new kitchen space. But I don’t think the change is significant overall. The current decor has softened up the design, adding in plenty of white and pastel shades for the interior. But the original angles ceilings, wood cladding and exposed brick are still here. Just under a layer of paint. As for space, the entrance to the house is through a covered porch into a lobby that opens to the open plan kitchen, dining and sitting area. 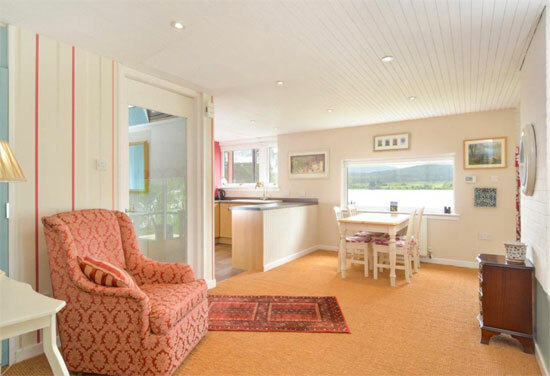 The kitchen is a modern, fitted affair with a loch view from the sink, the dining room has a large picture window and the sitting room, on a slightly lower level, has fitted shelves, a wood burning stove and more of the large windows for more wonderful views of the loch. 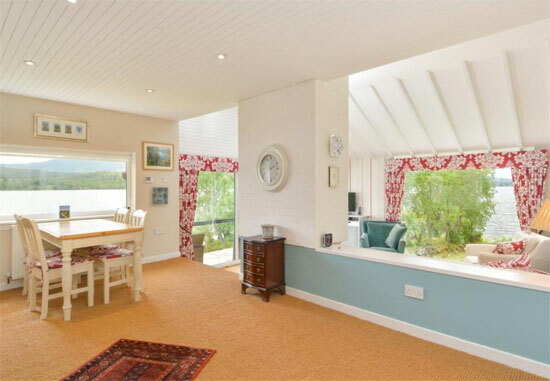 From the sitting room a sliding door accesses a covered terrace with steps to the garden path, leading to the beach. 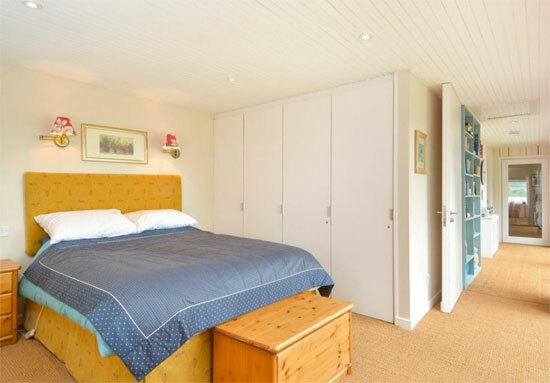 Opposite the main living area is a corridor (walled on one side in glass), leading to the master bedroom, a second double bedroom and a bathroom. 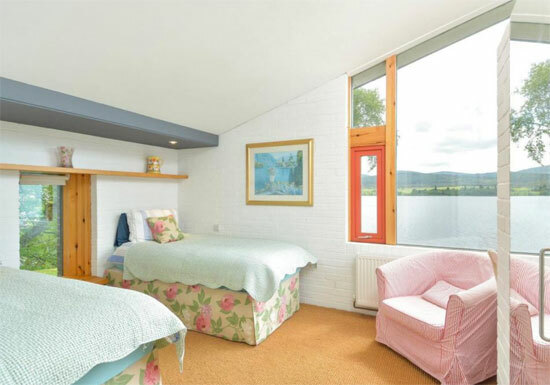 On the other side of the entrance lobby is another double bedroom with views over the water, a utility room and a wet room. Of course, the outside space is worth talking about. 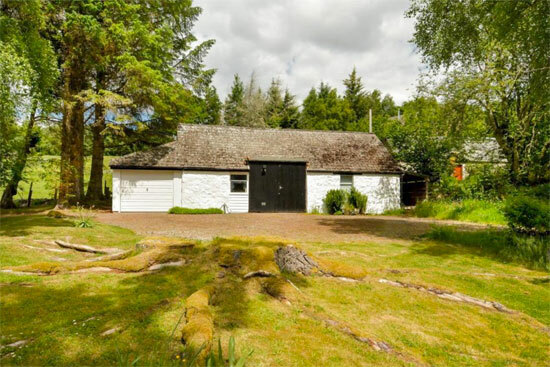 The house is set in about 1.32 acres, made up of ‘largely mown grass’ and ‘some wilder areas’, which offer a good source of logs for the stove. 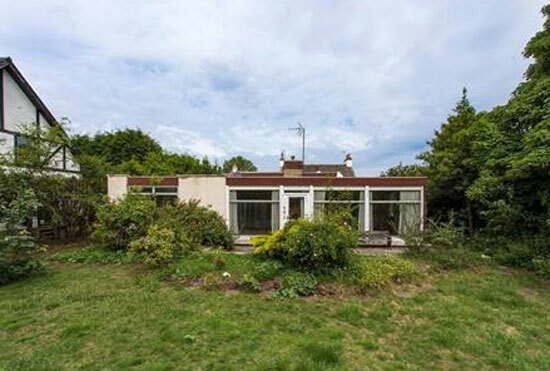 Below the house are two sheltered sandy beaches and on the western side of the house is a section of ‘neat flat lawn’ sheltered by the walls of the house. There are also the remains of old stone buildings and a whitewashed former bothy, which is now a garage with workshop and store. 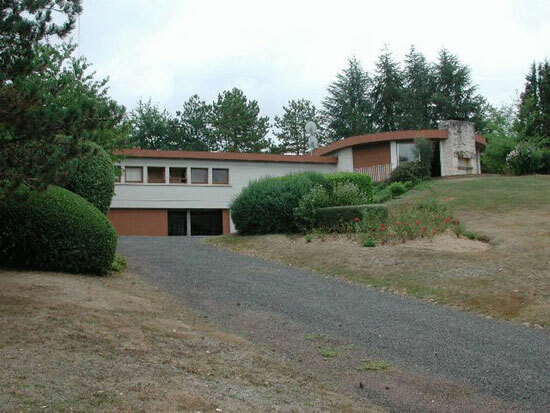 So a cool house, great location and a lot of land. 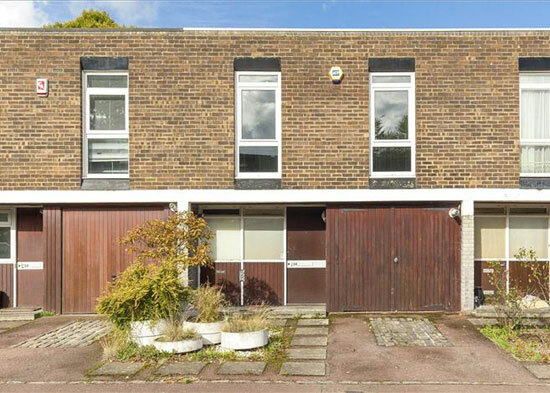 If this one has caught your eye, offers over £460,000 are being considered. 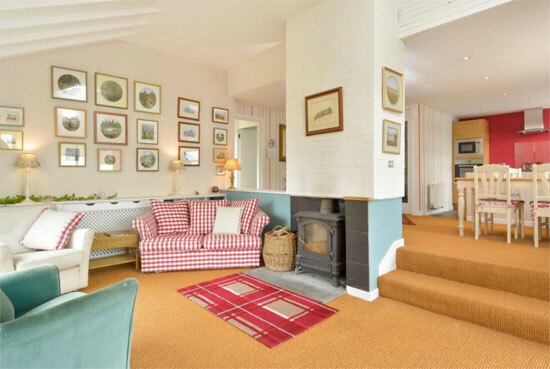 Images and details courtesy of Savills at Rightmove. For more details and to make an enquiry, please visit the website. Thanks to Julian for the tip off. 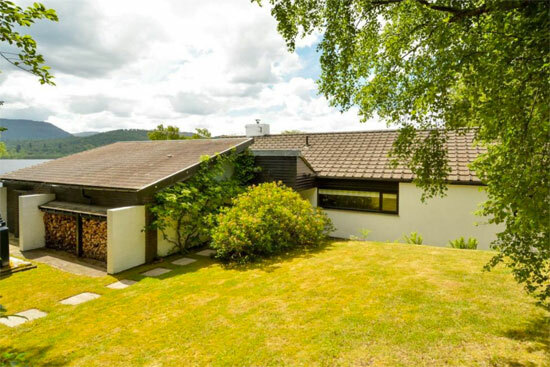 Update: Thanks to Tom on Twitter, who adds that the house is listed (category B) and was designed by Stuart Renton of Reiach and Hall, who both lived in it and later extended it. 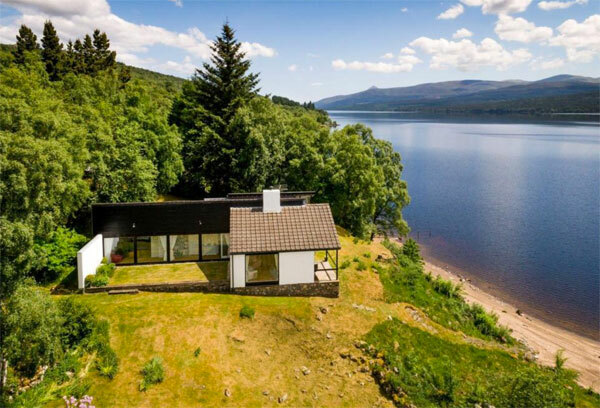 Also, if you want to see more interesting Scottish properties, check out our Modernist Scotland top 20 house finds rundown.